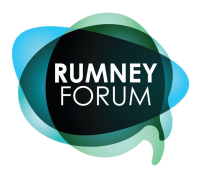 Welcome to the website for the Rumney Forum. We are a resident led community organisation that exists to make Rumney an even better place to be. We would love for you to get involved with the Forum and for you to have your say in what you think should be happening in Rumney. Together we can make a difference! Below are some short bios of the trustees. As you will see, we’re a diverse bunch of people, so if you think you’d like to get involved as a trustee, please contact any of us through the email addresses provided, or by emailing hello@rumneyforum.org We have a couple of spaces available for trustees on the board. Or just become a member of Rumney Forum to make sure you’re the first to know about Forum-led events, to keep up to date with the Library Project, and other exciting news. Hi! I’m Becky. I’ve lived in Rumney for 3 years and I got involved with Rumney Forum through my work as coordinator for Community Action for Rumney Library (CARL). I am married to Andrew and have daughter Edie who is two and a half. I work at Communities First. I firmly believe in the power of communities coming together and deciding what happens around us for ourselves! I am passionate about making Rumney an even better place to live and do what I can to make this happen. Hi, I’m Mike and I’ve lived and worked in Rumney for over 15 years. I’m involved in a number of community based projects working with local schools, churches, voluntary and statutory organisations as well as leading the children and youth work at Rumney Chapel. I’m passionate about making a difference in our community and in the lives of the people that live in it. I’ve been involved with the Rumney Forum since it’s inception and I love the idea that in working together we can choose to make Rumney an even better place to be. I’m Sam. I’ve lived in Rumney for the last six years and in Cardiff for 11, and I feel passionately about improving our community by providing a welcoming and exciting place for people to come and relax, meet people – new and old – and learn new skills. I have a creative background, having a Fine Art degree, but nowadays my creativity is fed by sewing, knitting and spinning, and, particularly relevant to the Library/cafe project, cooking. My mission is to get people into the kitchen and to use new and exciting ingredients in simple but delicious ways. Having two small children means that creativity often has to take a back seat, but I do have a blog, www.samscookingforsanity.blogspot.com where I publish some of my own recipes, but mainly share recipes from the internet and give tips and tricks from my own experience. I’m hoping the new facilities will give me the opportunity to pass on some knowledge and enthusiasm for cooking and the kitchen. I am a 19 year old who has lived in Llanrumney for 16 years and I have spent much of that time around Rumney. Currently working for Rumney Gospel Chapel, I am enthusiastic in all aspects of work throughout the community to help make Rumney an even better place to be part of. I particularly work with the youth of Rumney as I regularly volunteer my Friday nights and others to Rumney Youth Club and Kidz Klub. My main goal as a trustee is to not let Rumney lose another valuable community building and to help see a rise in community togetherness as Rumney Forum hopes to take over the library. as cupcake Rhys but I’m also the youth representative for Rumney Forum and I speak on behalf of the young people to suggest ideas that could be of benefit to us inside the library. I joined the project originally to save the library service in Rumney but also I have felt a need for a long time for a coffee shop or café in Rumney. This project combines both ideas so is a great project for me to join in with.